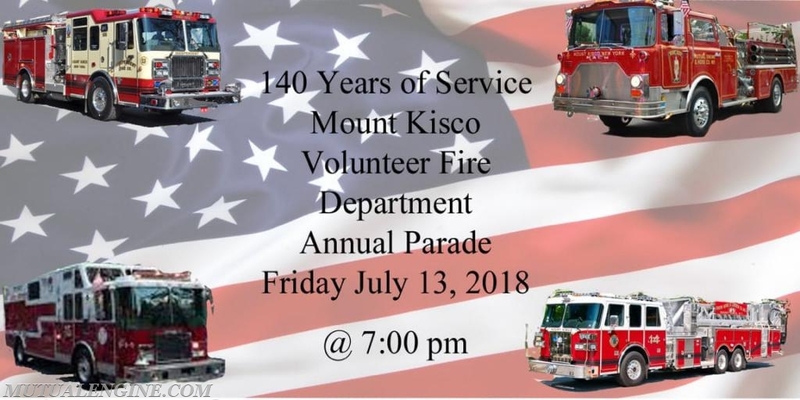 This Friday, July 13th 2018, the Mount Kisco Fire Department will be hosting our annual parade. The parade route is down Main Street from Moore Ave onto S. Moger Ave. and onto Green St. Please come out and enjoy the bands and show your support for you volunteer firefighters. This year we also have local food trucks that will be open for business during and following the parade and will be located on Green Street. We hope to see you there!!! Some sections will be closed starting early morning. The entire lot will be closed from 4pm-10pm. Parking enforcement will honor parking permits from the Blackeby lot in any other lot.